Sony has just launched the new firmware update for the PlayStation 4, bringing the system software to version 5.00. Although this update doesn’t bring anything too major, the new version is full of minor, but interesting changes. In this blog, we will quickly go through what we think are the most interesting ones. The update mainly highlights the ‘’Family on Playstation Network’’ feature. This system allows multiple adults to use “parent/guardian” labels to monitor a family Playstation Network account together, by letting them adjust parental controls independently for each of their child’s accounts. Until now, parental controls were applied to all users of the console, including the adults. Now, with 5.00, all controls can be individually adjusted. Another interesting update is the fact that you can now follow anyone. Before 5.00, you could only follow verified accounts. 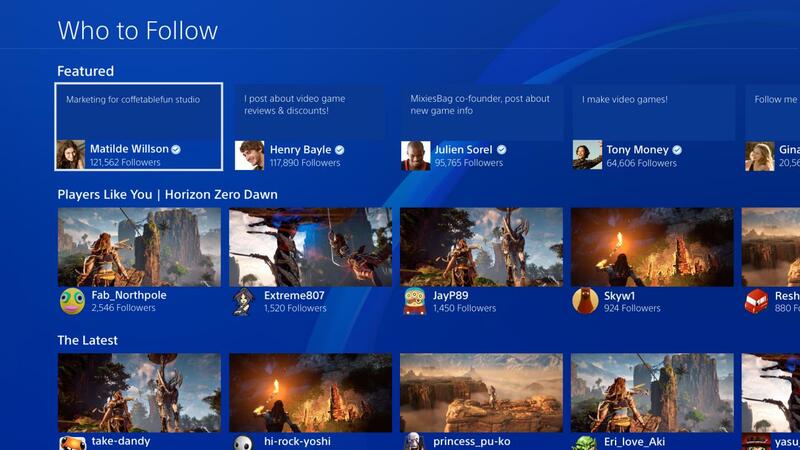 Sony has made it possible to now follow anyone you’d like, without having to be their friend. Besides you being able to follow your favourite game broadcasters, content creators and others in the community, this allows them to expand their reach much more easily. Regarding notifications, with the 5.00 update PS4 users can now finally disable those annoying pop-ups during video playback. Furthermore users can now quickly leave parties to check notifications from the console’s Quick Menu. Also, PS4 owners can now stream games to on Twitch in stunning 1080p resolution at 60 frames per second. Finally, Sony announced that the console now offers a competitive setup called Team Tournaments, which seems to be a system for clans to compete across multiple games. Game developers will have to decide to support the feature. VooFoo Studios’ Mantis Burn Racing, Wargaming’s World of Tanks, and both Uncharted 4: A Thief’s End and Uncharted: The Lost Legacy from Naughty Dog are the first four games to support Team Tournaments, and will go live this Thursday, Oct. 5.